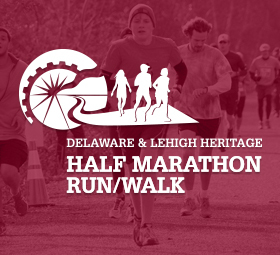 N.A.S.M.E. built the model railroad on site at the National Canal Museum. The “Powering America: Pennsylvania’s Anthracite Railroads” exhibition at the museum took visitors on a journey to the age of steam locomotives. The Nazareth Area Society of Model Engineers (N.A.S.M.E.) 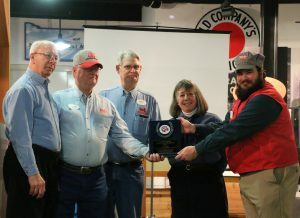 was honored Saturday at the D&L Annual Volunteer Luncheon. 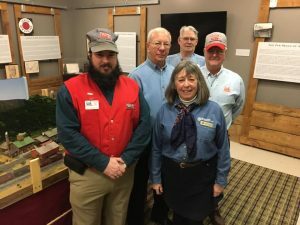 These sharp, talented volunteers put in over 400 hours (in just six weeks) to build the train layout for the National Canal Museum’s “Powering America” anthracite railroad exhibition. 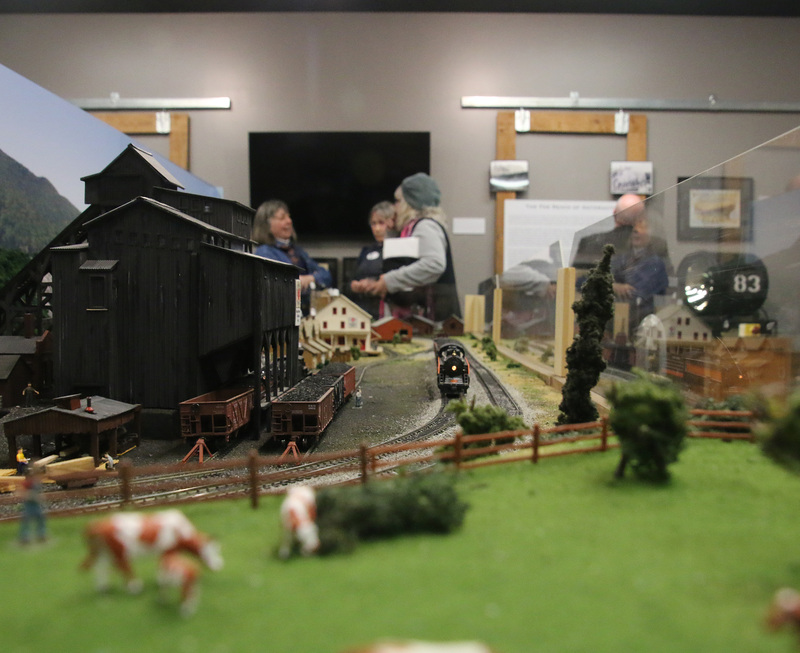 The “Powering America: Pennsylvania’s Anthracite Railroads” exhibition at the museum took visitors on a journey to the age of steam locomotives. 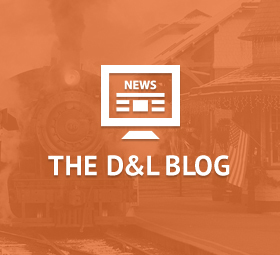 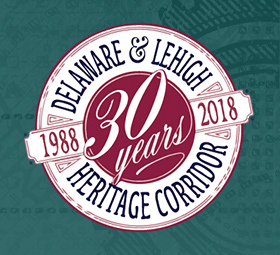 As part of the Delaware & Lehigh National Heritage Corridor’s participation in the region-wide 250th Anniversary of Anthracite, the exhibit documented the railroads — Lehigh Valley, Delaware & Hudson, Lehigh New England, Philadelphia & Reading, Delaware, Lackawanna and Western, and the Central Railroad of New Jersey – which carried the high-energy hard coal from the mines in Luzerne and Carbon County to much of the United States in the 19th and early 20th century. 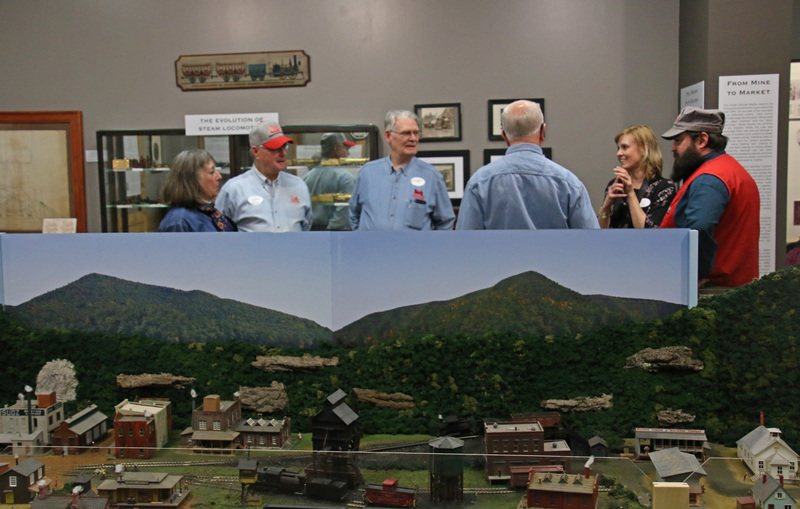 The stunning HO gauge model railroad display was the centerpiece of the exhibition, featuring locomotives and railcars of the anthracite lines, partially drawn from the National Canal Museum’s Louis J. G. Buehler collection. 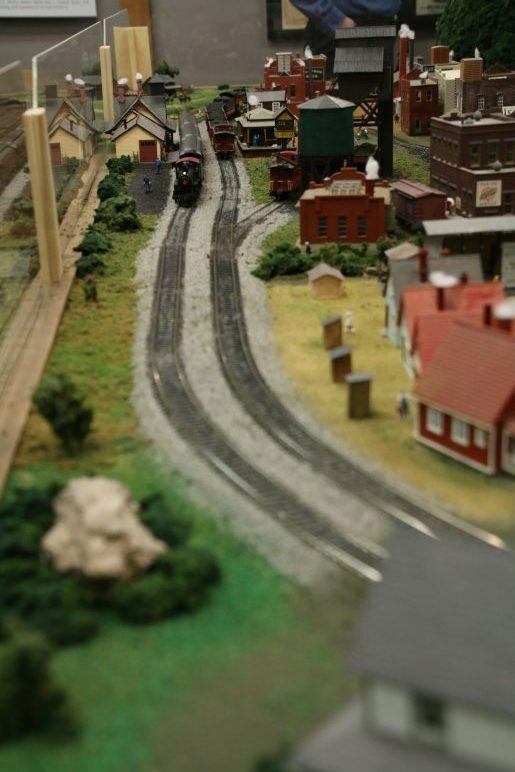 The layout includes a mining town with a coal breaker, an industrial town where the anthracite was used, and a segment of a coal-carrying canal with mule-drawn boats. N.A.S.M.E. members and volunteers accept the D&L Volunteer of the Year award from D&L Historian and Archivist Martha Capwell Fox at the annual Volunteer Luncheon. Other items in the exhibit drawn from NCM collections include an 1868 map of canals and railroads in Pennsylvania, original artwork for promotional calendars for the former Bethlehem-based Weston Dodson Coal Company, a working locomotive headlight, a Lehigh Valley Railroad conductor’s uniform, and an edited version of Louis Buehler’s 1968 film of steam locomotive operations at the Wanamie anthracite mine in Luzerne County. 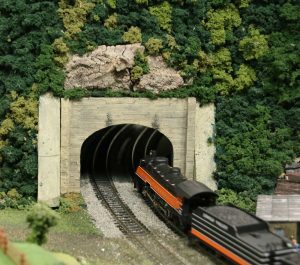 Nazareth Area Society of Model Engineers is a not-for-profit club located on Main Street in Stockertown that promotes of the hobby of model railroading with four operating layouts under one roof.